[0:01] <ParkerR> DDave, Anything else running? [0:01] <Dyskette> kieppie: you can do network boot, but specifically PXE - it's an x86/BIOS thing, doesn't really apply in embedded ARM land. [0:07] <kieppie> ParkerR, Dyskette - is PXE on PRi a no-go, or do you know of any references? [0:10] <Dyskette> Yeah, you'd need to basically replace the kernel image with a bootloader to then handle the PXE stuff. [0:11] <Dyskette> I'm not sure about the extent to which a bootloader that'll easily do that and run on the pi exists yet. [0:11] <kwixson> I've done the steps on the wiki (command line) to set up the SD card. I've done it before (way back) and it worked, but today I can't get the Pi to boot up. What gives? [0:15] <kwixson> I may have missed some fine print. Please standby while I pull my head out of my rear. [0:17] <kwixson> kieppie: how do I check it's readable on the host? [0:17] <kwixson> I can't mount it once it's flashed. [0:19] <kieppie> http://xinu.mscs.mu.edu/Raspberry_Pi#Booting <- Dyskette? [0:21] <kwixson> kieppie: Okay, made progress. I had the of= destination wrong. Flashing it to a partition and not the device. [0:23] <kieppie> Dyskette - ow! [0:23] <kwixson> ?? ?can i change it here? [0:25] <kwixson> There's a configuration assistant when I'm booting up for the first time. [0:27] <kieppie> Dyskette - is there an official bug report or ticket system for the project? all I can find is requests for such a system in the forums? [0:30] <Dyskette> kieppie: but uboot does run on the pi, can do pxe, and I'm sure it would be possible to automate its doing so somehow. [0:44] <kwixson> Hurray. HDMI working! [0:44] <kwixson> Verrrrryyy tiny text though. [0:44] <double-you> when I start a shell application over ssh, how to access over another ssh session? [0:48] <kwixson> How do I change the display settings in the GUI? [0:59] <kwixson> Stuff I found searching on Google have not helped so far. How do I get the text big enough to read my 42" screen from the couch? [1:06] <kwixson> chithead: how do I change the consolefont? [1:07] <kwixson> And where in X can I set the dpi? [1:21] <kwixson> Now, to set up X for couch-distance viewing. [1:23] <Roukoswarf-M> does omxplayer support .webm files? [1:24] <Roukoswarf-M> ParkerR: so test with a standard mp4? [1:28] <ParkerR> Roukoswarf-M, It's not h.264 "Codec: Google/On2's VP8 Video (VP80)"
[1:36] <Roukoswarf-M> ParkerR: does the pi handle the video well from within X11? or recommend only from tty? [1:39] <Roukoswarf-M> even though this version is using py3.3? [1:42] <Roukoswarf-M> does youtube-dl default to 1080p if available? [1:42] <Roukoswarf-M> and the command you gave, i am unfamiliar with the function of youtube-dl, will it download then pass the filename, or stream? [1:43] <Roukoswarf-M> ParkerR: that will stream? or will it save, store, then load? [1:57] <SwK> ParkerR:didnt like the RCA jack? [1:59] <SwK> I've considers that same mod myself??? well that and the 1/8"
[2:02] <SwK> ParkerR: ok looking at that pic of your board??? the 'pads' near C1 (up and left), above d4, just to the right of the marking for r16-r18 and between the zif ribbon connector and eth jack??? do you know what those are for? [2:04] <Shift_> helps align the pick and place machine or something, but I am not sure if that's what it is in this case. [2:31] <plugwash> what distro is this? [3:25] <Armand> Reminds me.. must buy more deep-cycle batteries. [3:33] <SpeedEvil> got lots else plugged? [4:41] <chupacabra> does one really have to buy the codec licenses? [4:41] <chupacabra> arent there open source ones? [4:45] <piney> the licenses are fairly inexpensive imo. [4:45] <chupacabra> mplayer should come with all the codecs. [4:47] <chupacabra> or is that stupid to say? [4:48] <chupacabra> havnt tried loading a version up with my fave programs. [4:52] <xiambax> wanna hear the best story ever! [4:52] <xiambax> They lost the drive i sent them and sent me a drive. [4:54] <xiambax> so they don't even have a credit card to charge me for the drive. [4:54] <Shift_> And if they try to get one of them back? [4:55] <SStrife> that's pretty lousy and dishonest. [4:55] <xiambax> How is it lousy. [4:55] <des2> The joke will be on you when both drives fail in 2 months. [4:56] <SStrife> Knowingly keeping both drives is pretty much theft. [4:57] <SStrife> You should contact them. [4:57] <SStrife> Well, yeah, "finders keepers" doesn't really work with adults. [5:00] <xiambax> Giant corporation takes extremely long to warranty a product, ships you two in return. and I am the bad guy? [5:01] <Shift_> To be honest, if it were me, SStrife would've shamed me enough to return one with his judgment there, heh. [5:01] <Shift_> Giant corporation and all, but the blame will probably be pinned on one guy. [5:02] <SStrife> Since you're knowingly keeping something that isn't yours, and gloating about it, yeah, you're pretty much lord of the bad guys. [5:02] <xiambax> Well then I will sit with my back turned to the door in my dimly lit office and continue to pet my cat. [5:06] <xiambax> SStrife: You telling me if Telstra accidentally under billed you one month you would call them up to tell them they made a mistake? [5:07] <SStrife> I would, because i'm not a deplorable human being. [5:08] <des2> I would write them and tell them what happened and ask for a prepaid return label for the 2nd drive. [5:08] <SStrife> if WD contacts you, you'd just lie to them anyway, so what's the point? their fault right? [5:08] <xiambax> No, I would be like. I received two drives. They have tracking numbers. [5:09] <SStrife> So make the call, let them tell you that, then it IS on them. [5:09] <Shift_> Interesting clash of ethics there. It's like virtue ethics vs utilitarianism or something. [5:09] <SStrife> but you're implicitly lieing about the number of drives you received, why wouldn't you lie to them if they called you? [5:09] <xiambax> I have ethics when it comes to people. Corporations are not people though. [5:09] <xiambax> No matter what they want to tell you. [5:10] <SStrife> If corporations are not people, and they are not made of people, then how the hell to they do anything? [5:12] <SStrife> anybody that invests in that company, some are rich, some are regular people that invest through their retirement funds and whatnot. [5:13] <SStrife> are you saying that because some individual stakeholder is "rich" that you have carte blanche to rip them off? [5:13] <Shift_> I think a graph of the average worker wage and minimum wage vs average CEO wage over time would be approporiate here. [5:15] <xiambax> If you get a 120,000 dollar roaming phone bill. Do you feel obligated to pay it because you signed on the dotted line? [5:15] <SStrife> If I did the roaming, sure. [5:15] <SStrife> my idiot fault. [5:16] <SStrife> if it was a billing error, and those services were not rendered to me, different story. [5:16] <SStrife> if the device was faulty, I would ask the manufacturer to come to the table. [5:20] <SStrife> do you have a 512MB Pi? [5:21] <SStrife> that will help, then. [5:21] <zopiac> is there a visual difference on the Pi that makes it obvious that it's the 512mb version? [5:23] <SStrife> the SD interface is pretty awful. [5:57] <SwK> pa1983: hey usb bug??? is that just a crappy driver from bcm or does something tickle it? [6:00] <pa1983> well have you tried usb 1.1 fix in the mean time? [6:01] <SStrife> no problems there, it seems. [6:33] <pa1983> have vlc support for the pi gpu for decoding like omxplayer? [6:34] <Shift_> why not omxplayer? [6:36] <Shift_> omxplayer uses ffmpe g? [6:38] <Shift_> ah, yeah I vaguely remember omxplayer pulling in ffmpeg, yeah. [6:39] <SStrife> for everyday stuff? meh. [6:41] <SStrife> yea, fair nuff. [6:44] <SStrife> horses for courses is all i'm saying. You shouldn't write off an option because of past issues with some related item. [6:50] <kwixson> Anybody willing to help a noob-ish with audio over HDMI problems? [6:52] <SStrife> so. switch to stable? [6:53] <SStrife> or with sane distributions, you would have slightly-old version that at least works. [6:53] <pa1983> well do rasbian have omxplayer in stable sources? [6:54] <pa1983> how do you know that upgrading ffmpeg on resbian wont break omxplayer deb ? [6:58] <SStrife> well it looks like i didn't leave my Pi on, so I couldn't tell you off hand. [6:58] <SwK> can you just install an older version from portage? [6:59] <SStrife> but anyway, i'm not having a go at gentoo, not saying it's useless, s**t, whatever, but this is the risk when the repo's aren't vetted. [7:00] <SStrife> and it's silly to completely write off a distro, or family of distros, because you "don't like" some aspect. [7:00] <SwK> you cant tell the ebuild to use a specific git hash? [7:00] <SStrife> what are you doing to them to have problems even? [7:01] <SStrife> i brought up a ubuntu-server box to do dhcp/dns/etc about 4 months ago, and it's been up every day since. [7:01] <SStrife> rebooted once to "do-dist-upgrade"
[7:01] <kwixson> I can't get audio working. I've googled, messed around a fair bit. No joy. Help? [7:03] <SStrife> you must be cursed then. [7:06] <pa1983> but I refuse to run debian sens it outdated for my hardware and the howl point of true and tested is lost if you need to update it to unstable. [7:07] <pa1983> It was demed "unstable"
[7:08] <SStrife> Debian squeeze is only 4 months old. [7:09] <SStrife> so, install from new media then? [7:11] <Shift_> I actually need something with a different mask/layout. Just directional arrows and an enter sort of deal would do. Otherwise I'd just end up using a keypad for navigation, which is a bit silly. [7:12] <SwK> up down enter? [7:12] <Shift_> are you including the power and gnd? [7:13] <SStrife> pa1983, you've made that abundantly clear. I'm saying that there is an inherent risk in having bleeding-edge everything, as you have experienced here today. Through luck or through fastidiousness, you've avoided it so far, and good for you for achieving that. [7:13] <pa1983> SStrife, well I used gentoo for 12 years on a howl range of computers, alpha, ppc etc. Its extremly flexible. [7:13] <pa1983> SStrife, one hiccup like this is not much considering. [7:14] <SStrife> I've used debian and relatives for quite a long time (not quite 12 years) on a decent variety of systems. It is likewise quite flexible. [7:16] <SStrife> I have never, ever, ever said "I would never use apt-get because x"
[7:16] <SStrife> I have never said "I would never use X because Y"
[7:16] <SStrife> if a use case comes up where X is going to work, I'll use it. [7:19] <SwK> Shift_: you need a LCD? [7:20] <Shift_> nuh, I'll probably just end up cloberring together whatever I find in the parts bin. Just looking around to see what else is out there. [7:20] <Shift_> But yeah, It'll need an LCD. [7:20] <des2> Try typing on it instead of writing. [7:22] * Shift_ has grown fond of his razer mechanical keyboard. [7:24] <piney> Shift_, http://dx.com/p/lcd-keypad-shield-for-arduino-duemilanove-lcd-1602-118059 ?? [7:25] <Shift_> 5v though, isn't it? [7:28] <Shift_> Yeah we've talked about that before, heh. I've go 5 of those and another 5 5v tolerant buffers. [7:29] <Shift_> didn't know dx carried stuff like that though, so thanks for the heads up, piney. [7:30] <Shift_> last time I head that dx took months to ship though, is that still the case? [7:53] <kwixson> Okay. Audio in CLI, check. Audio in X, not so much. [7:57] <Shift_> There's no difference, check what backend it's using. [7:57] <kwixson> How do you mean? [7:58] <Shift_> pulseaudio? alsa? is it using the hardware directly? [7:59] <kwixson> Looked at that and my eyes crossed. [7:59] <Shift_> What is the application that's not working? [8:00] <kwixson> I'm looking for some way to play mp3's in X to test it out, but haven't found anything yet. [8:01] <Shift_> X doesn't have its' own audio backend, it shouldn't matter whether it's X or not. [8:02] <SwK> setting the right device to use in X? [8:02] <Shift_> Are you sure minecraft pi edition has audio to begin with? [8:02] <kwixson> SwK: How's that? [8:02] <kwixson> Shift_: Umm. No? [8:03] <Shift_> I'd verify that first. I am looking at the gameplay videos and I am not hearing any in-game audio. [8:05] <kwixson> Shift_: Okay. I'll buy that. Hmm. What could I use to play an mp3 (GUI-wise)? [8:27] <kwixson> *sigh* Well, another time. Thanks for the input. [8:27] <rikkib> Can't be that bad. [8:28] <kwixson> rikkib: Maybe I can figure it out after I've gotten some sleep. [8:30] <rikkib> After a while I learned to get over that. [8:35] * rikkib feels bad this evening... Hard days work. I am a stroke survivor. [8:50] <_ember> someone have experience with wiringPiI2C ? [8:52] <_ember> Jck_true: from which library? i2c-dev ? [9:36] <markedathome> does anyone know how to stop i2c-adapter log messages being spammed into dmesg/messages? [9:36] <gordonDrogon> although I can't say I've ever noticed any myself. [9:38] <gordonDrogon> what are you doing to get that message? [9:40] <gordonDrogon> _ember, are you stuck with anything, or just a general enquiry? [9:41] <gordonDrogon> just read your forum msg. [9:42] <gordonDrogon> when you i2cdetect, does it return the right number? [9:43] <gordonDrogon> and you call wiringPiI2CSetup() with that same number? [9:51] <_ember> thanks for help ! [9:51] <gordonDrogon> is it working OK now? [9:55] <gordonDrogon> well it's a good test. [9:55] <gordonDrogon> I've been playing with RTCs recently too. One is the pfc8365 chip - not mine, but on a Remote Pi. [9:56] <gordonDrogon> The other is the DS1302 - that's not I2C, but a bit-banged protocoll. [9:56] <gordonDrogon> all good fun! [9:56] <gordonDrogon> I've actually written a driver for that one and put it in wiringPi. [9:57] <gordonDrogon> yes - somewhat sub-optimal... but good for testing I2C stuff though. [9:58] <gordonDrogon> Have to say; I'm not a great fan of I2C, but it does seem to have its uses. [10:10] <gordonDrogon> Can you post a -solved follow-up to that message on the forum when you get a moment? [10:16] <gordonDrogon> yea, just add another. [10:39] <TeeCee> Is there an easy way for me to get my Pi to send mail to my gmail when i.e. cron fails? I've seen a couple solutions, but all involve me putting my gmail password in some config file... is that really neccessary? [10:46] <TeeCee> But will cron send me mail when failing using this solution? [11:33] <Shift_> updated using rpi-update or manually? [11:36] <Shift_> what was the problem? [11:42] <egrouse> gentoo on raspi? [11:43] <Shift_> Wait... were you the guy who was all "wah, I am not going to use Arch because it's not maintained wah" or was that someone else? 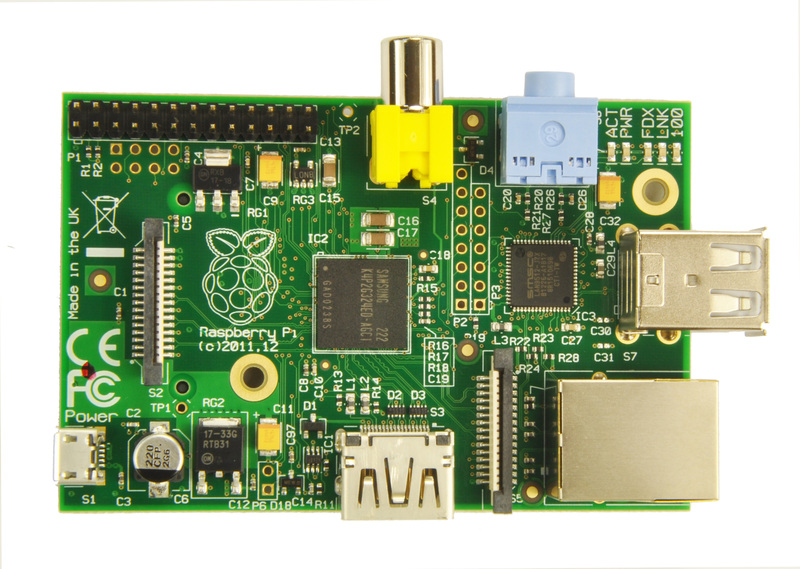 [12:03] <Kisume> Plugging in my Sitecom WiFi adapter shuts down my Pi due to overvoltage. Should a powered hub fix this? [12:04] <Kisume> Overvoltage, I assume so... yes. [12:07] <Shift_> Why scart? why not audio and composite directly through the resistors? am I missing something? [12:08] <Shift_> "In Europe, SCART used to be the most common method of connecting audio-visual equipment together"
[12:09] <pa1983> how safe is it to bypas the polyfuse or feed it from the usb ports instead? [12:10] <Shift_> pa1983, exactly as safe as you think. 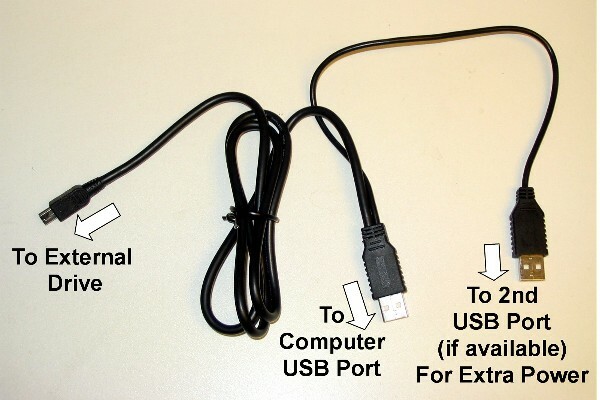 backfeeding through usb is the safer option. [12:12] <af1> its me that does!! [12:14] <Shift_> af1, can't you check the maplin online catalog first? [12:20] <Shift_> You can buy a standard scart cable and cut off an end and mod it as needed. I would buy just the plug/socket and solder the wires directly. [12:21] <af1> i shall do that! [12:23] <markedathome> try some of the audio/visual places as well. maplins have cables for 15 for 0.75m, to 20 for 3 m length. [12:27] <Jck_true> double-you: How long a cable? [12:27] <mjr> how long is the cable? [12:27] <af1> so i just said, " next time you upload images to your laptop with your digital camera make sure you use a really big cable"
[12:27] <markedathome> using a 1ukp poundland hdmi cable. [12:34] <Jck_true> double-you: try the hdmi_boost thing? [12:35] <dwatkins> do people here have any thoughts on buying a Pi from modmypi.com, please? [12:36] <neilr> dwatkins: I've had some cases from them in the past. Seem like a good bunch of people. No problems at all. [12:36] <Shift_> I bought a case there as well. Not a fan of the case, but no problem with the service. [12:39] <dwatkins> I thought my Pi was a little warm the other day, but not enough to need a heatsink. [12:40] <Jck_true> On that note... Anybody know the measurements size of the CPU/RAM block? [12:41] <dwatkins> I ended up cheating and running a system command for this temperature probe, as the library didn't work with my USB device. [12:48] <gordonDrogon> dwatkins, does /opt/vc/bin/vcgencmd measure_temp not work for you? [12:48] <Mortvert> Any of you compiled synchro.net on rpi yet? [12:51] <dwatkins> echo -e "$Green$Temperature\xC2\xB0C"
[12:52] <dwatkins> I should probably put these scripts onto github. [12:54] <Viper-7> tls would suggest SSL ? [12:54] <Mortvert> libGLES, like it says. I think. [12:54] <pa1983> ssl for minecraft? [12:57] <gordonDrogon> dwatkins, that's been avalable for a few months IIRC. [12:58] <gordonDrogon> dwatkins, don't worry until it reaches about 70C. [12:59] <pa1983> to new to old? [13:29] <linuxstb> Jck_true: What's the "R/L audio to IR" trick? [13:34] <markedathome> why not just connect ir to the gpio? [13:36] <markedathome> the problem is that the audio jack has a 'thump' to start, -- too much applied bias? i can't rightly remember the details, but it is noisy. [13:51] <gordonDrogon> unlikely to 'blow' the analog output from the Pi. [13:51] <gordonDrogon> it's not that complicated - and it's AC coupled too. [16:26] <elek> anyone get the new f2fs going on raspbian yet? [17:16] <sofyan> gordonDrogon: i made a ipv6-4 tunnel using netassist okay? [17:46] <TopGear> Hi. I'm trying to get the GUI from the RPi to my OS X 10.8.2 via SSH, but I can't get it to work. Anyone who knows what I should do? [17:46] <gordonDrogon> sofyan, Hi. Sorry - I have native IPv6 here. I've no idea about tunnels. [17:46] <gordonDrogon> sofyan, I've no idea about streaming a webcam either - sorry. [17:47] <zopiac> TopGear: do you have X forwarding enabled in your /etc/ssh/sshd.conf file? [17:49] <TopGear> zopiac: Yes, I do. If you mean /etc/ssh/sshd_config. [17:50] <zopiac> and are you trying to connect using the ssh flag -X? [17:50] <TopGear> Yes. But the ssh_config had no, so I'll give it a go this way. [17:52] <TopGear> zopiac: Always the same error: "Can not open display ' '." [17:53] <zopiac> OS X comes with an X server installed by default right? [17:54] <gordonDrogon> sofyan, there are some good Debian tutorials on IPv6 - and remember Raspbian is just Debian for the Pi. [17:55] <zopiac> Well you can install an X server... in your apps directory there is no X11 app, even in subdirectories? [17:56] <xiambax> My RPi's get here and noon. Stoked. [18:01] <TopGear> Anyway, got to log off and log on again soon. X11's installed. [18:02] <zopiac> you have to reboot after installations? [18:02] <TopGear> Nah, just log out and in. [18:03] <TopGear> No, it says it isn't installed. Some kind of post-installation config probably. [18:09] <TopGear> Not gorgeous, but it works. [18:14] <usc911> Hey, anybody got a link to a build of debian without any gui? [18:20] <angelos> what's wrong with those two steps? [18:22] <DoWhileGeek> how do I set my pi to boot into cli, not desktop? [18:22] <TopGear> What's the Raspbian filemanager called? [18:35] <beers> Hm, I bumped mine to 1150/500/600 but it keeps chugging along. [18:53] <deadalps> can some1 help me compiling a arm linux kernel for qemu? [19:20] <scummos> maybe some acpi stuff? [19:46] <kwixson> So LXDE is /really/ small on my 42" plasma and I'd like to use it from the couch. So how do I get LXDE to run at a lower resolution than the display is capable of? [19:47] <zopiac> Does xrandr show any lower resolutions? [19:47] <jacekowski> DoWhileGeek: wait, what? [19:48] <jacekowski> DoWhileGeek: where did you get your 5v? [19:48] <DoWhileGeek> from the 5v pin? [19:48] <jacekowski> 5v pin where? [19:48] <jacekowski> after the polyfuse? [19:49] <kwixson> zopiac: Thanks. I'll try that. [19:49] <piney> DoWhileGeek, did you try disconnecting the relay and rebooting the pi? [19:49] <jacekowski> DoWhileGeek: top left looking at it how? [19:52] <DoWhileGeek> jacekowski: soooo, I killed it? [19:53] <piney> DoWhileGeek, im wondering if you drew too much power from the device and had the sd card go corrupt on you. [19:53] <jacekowski> DoWhileGeek: are you sure that it was only 5v to gnd? [19:53] <jacekowski> DoWhileGeek: nothing else? [19:53] <jacekowski> DoWhileGeek: and, how long did you wait for it to cool down? [19:56] <IT_Sean> does it still do it if the hub is not connected to the Pi? [19:56] <richardUK> Sounds like the driver could be going to sleep? [19:58] <piney> Walther, is the hub powering the pi too? [19:58] <richardUK> What is the time between the powercycle? [19:59] <richardUK> So it power cycles whilst files are being accessed? [20:00] <richardUK> Bang goes my theory. [20:00] <richardUK> Can you borrow another usb drive to test with? [20:01] <piney> anything related to the usb driver in the logs when it power cycles? [20:02] <zopiac> kwixson: I was afraid of that... I'll see if I can find something in a bit. Have you looked at changing DPI for lxde? [20:03] <kwixson> zopiac: No. Someone mentioned that but I couldn't find any info about how to do that. [20:04] <Walther> But yeah, has anyone been able to reliably use a separate drive with the Pi? [20:04] <neilr> Walther: Yes. I use an external WD drive, USB attached. [20:05] <Walther> neilr: do you have it straight on the pi or in a hub? also, external power source or not? [20:05] <neilr> It's straight into the pi, with an external power supply as well. [20:06] <IT_Sean> I have an external harddrive working with a Pi. Uses it's own power supply. Works perfectly. [20:06] <piney> Walther, do you think you can buy another cable to make it plug in to power seperately? [20:07] <Mortvert> how i can test sound output on pi? [20:08] <Mortvert> no remote X set up yet. [20:08] <Amadiro> Mortvert, "omxplayer -o hdmi" plays the sound through the HDMI port, without the -o it plays through the analog jack. [20:08] <Mortvert> o_O what command? [20:09] <neilr> Walther: what are your power supplies rated at? [20:10] <Mortvert> Can i make the analog default somehow? [20:10] <Amadiro> Mortvert, the analog should be the default by default. [20:10] <Mortvert> I see. Thanks. [20:10] <neilr> OK - that should be enough. Is there anything else in the hub or the other USB port on the pi? [20:11] <Amadiro> Mortvert, note of course that the audio quality of the jack is totally horrible, so you'd want to prefer the hdmi audio output or an external usb soundcard, normally. [20:11] <piney> Walther, is it more than a 4 port hub? [20:11] <Amadiro> well, it's good enough for playing ioquake, but I wouldn't want to listen to music with it. [20:12] <Mortvert> so i can't hear anything too bad. [20:12] <Mortvert> Amadiro - if i can make out the words in music, it's totally fine. [20:13] <zopiac> Good news is, my screen isn't blanking out from idle any more! [20:14] <Mortvert> did all the diodes go dark too? [20:15] <neilr> Walther: Is there a possibility to test another external drive with it's own power supply? As I mentioned, mine is boringly stable, so it *can* work. [20:27] <BCMM> is it normal for xbmc to use about 50% cpu when idle, even when on the blank screensaver? [20:30] <Amadiro> BCMM, I see. I don't remember the exact numbers when I tried it, but that seems fairly reasonable, seeing how xbmc is constantly pushing stuff through the OpenGL ES driver to the videocore and the CPU is fairly weak. [20:32] <BCMM> Amadiro: so does xbmc's dirty regions patch not work on the pi? [20:32] <Amadiro> BCMM, I don't know is. [20:33] <TopGear> There's something strange going on here. I can't make any folders no my Download harddrive. I am not allowed to do it, but SUDO isn't either. Wrong group, maybe? [20:34] <zopiac> Is the drive mounted with rw permissions? [20:34] <pksato> TopGear: that file system on harddrive? [20:35] <pksato> permission on NTFS is on mount time. not per user/group. [20:35] <pksato> and, writing on NTFS is not safe. [20:36] <Amadiro> BCMM, but maybe xbmc is drawing some things in software internally. [20:37] <pksato> its like a kernel ntfs module. [20:37] <TopGear> pksato: I can cd in it easy, but I have no rights to do anything. Even the pcmanfm can't do anything. I'm working via SSH -X, FWIW. [20:37] <Amadiro> pksato, I'm pretty sure writing to ntfs has been safe for a few years now? [20:37] <pksato> kernel ntfs need explicity rw mode enabled. [20:38] <Amadiro> at least I remember the 3g driver to be very stable. [20:40] <TopGear> zopiac: The +x did not help. [20:41] <markedathome> walther what is the drive? and the filesystem on the drive? I have a WD ElementsSE 500GB running 24x7, powered from a hub. [20:44] * zopiac likes pastebin ._. [20:45] <TopGear> Anyway, I've got to convert the GPT to MBR in order for Raspbian to recognize it. Wonderful. [20:45] <TopGear> The problem is, it contains also some backup stuff. [20:46] <TopGear> Yes, it's GUID/GPT and Raspbian can't eat it. That's way Mint wouldn't edit the partitions. [20:48] <Amadiro> BCMM, from the description of the patch, it looks indeed like the patch only applies to the uploading of textures -- the GPU will still render the whole frame and draw it to the screen. [20:48] <Amadiro> but its great that they managed to optimize that. [20:49] <Amadiro> BCMM, I'd try to just pull it from the git repo and compile it. [20:50] <jelly1> what patch are we talking about? [20:52] <Amadiro> BCMM, are you most concerned about power usage or about the GUI feeling snappy? [20:56] <Amadiro> well, for the parts of xbmc I personally need. [20:58] <Amadiro> but that doesn't really mean a lot as such. [21:00] <Amadiro> BCMM, that is definitely untrue. [21:00] <Amadiro> BCMM, its fairly slow even for the class "fully interpreted scripting languages"
[21:14] <Walther> btwm any news on the raspi ghci support? [21:16] <Amadiro> Walther, do you mean to get ghc to run on the rpi or a rpi-related functionality-library for haskells ffi? [21:35] <Amadiro> double-you, surely you'll be able to find an ftp client for your android tablet. [21:36] <Amadiro> I don't doubt it. [21:37] <Amadiro> double-you, do you mean the ftp client will not be able to play the file directly in-browser? [21:41] <hyppias> the console font is very small. How can I make it larger? [21:54] <TopGear> Yes! Did it. [21:55] <TopGear> Still needed ntfs-3g. [21:57] <TopGear> I converted GPT to MBR. [21:57] <TopGear> But how do I mount these automatically? [23:37] <BlackFate> i usually get corrupted fs (with different "recommended" power adapters) and different sd cards. Setting root and boot partitions to read only would eliminate this problem? [23:42] <grantsmith> BlackFate, how do you shut down the pi ? [23:45] <BlackFate> what software you use for streaming? [23:46] <BlackFate> is it a known issue with mjpeg? [23:47] <BlackFate> or usb driver in general? [23:48] <BlackFate> rikkib, same happens to motion too? [23:49] <rikkib> After being tossed off the RPi forum I have no desire to help anymore. [23:55] <rikkib> The machine you are accessing is not a RPi... It is X86. The cam is RPi and that is inside the firewall. [23:57] <necr0tik> Anyone know how to fix the usb resetting after about 2-3 minutes of being on, two-three times before dieing completely? BS1238 pi. [23:57] <grantsmith> rikkib, what cam do you use ? [23:57] <grantsmith> necr0tik, are you supplying enough power to the pi ? [23:59] <grantsmith> is that a recycling depot ?